Here at Hogwash Cleaning Solutions, we want all our clients to understand our service expectations. We feel it is important to be fully informed on the services and our expectations. Please fully review and let us know if you have any questions or concerns about any information contained in our agreement. We will require you to verify that you read and understood the terms and conditions agreement before we commence any work. These terms and conditions serve as a binding agreement between the property owner, hereby identified as “client” and Hogwash Cleaning Solutions and its owners, employees, and subcontractors, hereby identified as “company,” for the execution or services in exchange for payment for residential or commercial exterior cleaning services to include pressure washing and non-pressure washing. The services that Hogwash Cleaning Solutions provide to you are subject to the following terms and we reserve the right to update the terms and conditions any time without notice to you. You can review the Terms and conditions by clicking on the Terms and conditions links via our website, email communications or any other communications such as estimate or invoice links. Client agrees to allow company on the property for the purposes of completing cleaning services requested. Client understands that the cleaning service will be completed in the timeframe given during the estimate. Due to unforeseen circumstances such as bad weather, the cleaning service may need to be moved to the next available business day. Client understands that the company will do their best to accommodate for a quick reschedule but must work around other scheduled clients and weather. Company also has the permission to visit the property with little or no notice to assess service needs prior to the date of service, as well as to check completion after services have been rendered. Client agrees to allow company to utilize their residential water source via outdoor spigot, which will be turned on and easily accessible on the date of service. If on well water, or if in an area with low water pressure or volume, client agrees to inform the company and will avoid using any water during the cleaning service. If clients water source is not sufficient for cleaning service, they must inform the company so they can adequately prepare to bring water with them to cover required flow. There is a fee of $75 for the company to bring water to complete the cleaning service due to the extra required equipment to transport and feed the water from our tanks. Hogwash Cleaning Solutions does not hook up to the homeowner’s power as our equipment is powered by our own systems or ran on gas. We only hookup to your homes spigot for water and the only item to be touched by the crew members. Crew members are to inspect any spigot previous to cleaning to ensure there is no damage to area and inspection after. Per their required training, they must take before and after photos. Hogwash Cleaning Solutions will not be held accountable for previously damaged spigots. Client will be informed of any previously noted damage. Hogwash Cleaning Solutions will not be held accountable for any issues within or outside the home that is not related to the cleaning service. Hogwash Cleaning Solutions technicians are well trained in the equipment used in the cleaning industry and take extreme precautions in making sure the company does not cause harm to your investment. Hogwash Cleaning Solutions uses safe techniques with the use of low pressure on delicate surfaces such as siding. However, damage can still occur to any delicate surface due to poor maintenance, neglect to the property and or low-grade building materials. Routine maintenance per manufacture’s recommendations on the homes surfaces, should be implemented by homeowners to avoid any potential defects. Prior to washing the home any areas of concern need to be addressed by the homeowner to insure a watertight seal. This will prevent damage from occurring. The homeowner assumes all the risks and takes responsibility for any damage that occurs due to improper maintenance. On the date of service, the company will note any pre-existing damage on the field hand checklist sheet with the client and have them sign. If client is unable to sign at time of noted damage, the company will note the absence on the field hand check list sheet and take photos of noted damage. Homeowner will have to sign off on the checklist sheet to note they have been informed of any damage once work is complete. If homeowner is unavailable at time of completion, the office manager will notify client of any damage before work along with supporting documentation. If any new damage is found during the cleaning process, the company will cease all cleaning efforts until the client can see the damage and acknowledge its existence. Client understands that the company has set procedures to ensure plant life around the area of cleaning is protected. Client understands that their wash could be scheduled during midday sun and there could be potential for leaf burn as water can get on and around the plant during the cleaning process. If any issues arise with plant life around the area of cleaning, the company will evaluate to see if plant life suffered from leaf burn and will recover or if it has been killed. Company will then determine plant of action after evaluation of plant life. Client understands that any blemish or flaw or any existing oxidation will be more noticeable after cleaning. Vinyl sided homes that have not been maintained or has contact sun exposure will be susceptible to oxidation. Signs of oxidation are as follows: chalky white powder on siding and the clear luster removed. Please understand if your home suffers from oxidation, you may see this difference after a cleaning. When home is covered with debris, those blemishes may not stand out as much as it would be after it has been cleaned. Most of the time those issues are pointed out to the client during estimate inspection or during cleaning process. Client understands that company may not find every flaw and is not reliable if it is more noticeable after wash unless it is found to be of negligence on company end. Client understands that we require that all outside electrical outlets and fixtures are shut off before arrival to complete washing service as an additional precaution. Client also understands if we do a site unseen estimate based off provided photos or use of Eagle eye software, that we will not be able to note any flaws in exterior surfaces. If we do a site unseen estimate, client understands we are not reliable for any unacknowledged flaw and will do our best to point this out at date of cleaning. Client also understands that our cleaning solution is specifically designed for our cleaning services and it will not cause any discoloration or damage to the siding. Client understands that if their home is severely covered in grime that they could potentially have issues with weep holes. If you notice a faint rusty color on your siding, there is not need for alarm. If you have vinyl siding, you have something called weep holes. These holes are made by the manufactures to allow ventilation and allow any condensation to drain out. With that said, these holes make a nice little home for bugs. Debris and dirt gets up inside the holes and behind the siding. When we do the wash, our solution pulls the dirt and debris, sometimes left over water and bug juices drain from these holes after we complete the wash as it goes through the drying process. The rust color/ light faint colors your seeing is bug feces, debris, mold etc. We see this occur on sections of siding that had the heaviest buildup. This will come off with the morning dew, garden hose or rain. It is not a stain and it is not permanent. Typically, anyone that calls in regards to this usually see a huge difference after the morning dew. If the weep hole runs are heavy, we will return to do a full rinse down after a visual inspection. Client understands that during the house wash service they will receive a basic window cleaning. This is different from windows being done with a purified water-fed pole system. A basic window wash will get debris off windows but you could be left with water spots. If you are looking for a squeaky-clean shine on windows, you will want to get the added window cleaning service which is completed with purified water-fed pole system. All water is run through a filter to ensure nothing remains in the water that could leave water spots or streaks. We recommend removing your screens to allow any debris between the window and screen to be rinsed away in a house wash. If you are getting your windows cleaned with our purified water-fed pole system, client understands they should remove screens previous to work. If screens are not remove, company will not remove them unless a responsibility of consent form is signed. Screens are delicate and if they are brittle, they can break. Company does not remove screens due to this unless client understands the risk of this and signs a consent form stating company will not be held reliable for worn and brittle screens. When the company completes a roof wash service, client understands that all roofs react to our solution differently and results will vary. Our solution is guaranteed to completely kill any damaging growths such as algae, moss, or lichen. Client understands that the roof will show results of a cleaning but in some instances, it may take more time to completely remove the dead growths. This happens due to many factors such as age of roof, type of shingle, location, and the amount of buildup. It is understood that there is potential to have some light brown areas that remain after treatment. These light brown areas are dead algae which previous to treatment were black streaks. If this occurs, client understands it will take some time for the remaining dead algae to come off with assistance of natural elements such as sun exposure and rain. We request clients wait 6 to 8 weeks for the brown areas to fade. If after 6 to 8 weeks, the brown areas remain, we request you contact us immediately so we can come physically view the area to appropriately determine the next step. If roof has moss or lichen growth it will take some time for those to completely fall off. Since we do not use high pressure, we let our solution do the work. If the growth is deep into the shingle it will take time for it to remove. Those growths will turn white when treated with our solution. The client understands that the growths will dry out and fall off as the natural elements such as wind and rain assist with the removal process. If after 6 to 8 weeks, the growths remain we request client reaches out to company. We will then do onsite assessment to determine next step. Client also understands that our cleaning solution is specifically designed for our cleaning services and it will not cause any discoloration or damage to the roof. Please ensure you shut off all outside electrical outlets and fixtures at breaker box prior to arrival. Please have screens removed for better rinsing between windows if you have heavy debris between window and screen, Must remove if you are having windows cleaned specifically. Please have all pet’s inside before and during cleaning. Please avoid using water during cleaning service to ensure no loss of pressure or volume. While the company has implemented procedures and processes to cover electrical outlets, we suggest the client shut off power to all exterior outlets that are not covered with exterior covers. The company will clean windows but it is upon the clients to remove any window screens as they can be delicate and brittle. Removing window screens will allow the company to thoroughly clean windowsills and leave the windows streak-free. A $75 deposit is required to secure your cleaning service. This deposit is non-refundable. The deposit will be subtracted from total quoted price after service is completed on your invoice. Example: A job is quoted $300. We require a $75.00 deposit leaving the remaining balance due after service of $225.00. Sometimes, we may request for a higher deposit depending upon job due to material or type of cleaning. This will be outlined specifically with details from the office manager. A $50.00 cancellation fee will be assessed if client cancels service without 24-hour notice, or if the company arrives and cannot wash due to steps 1-4 not being completed. A fee of $50 will be assessed if company returns to site to review a noted issue or complaint and is found to not be caused from improper cleaning by crew. Example: We complete a house wash in the morning and get a call in the evening stating there is remaining debris on the siding. We do a full review with designated crew and field hand checklist sheets first. We return to the site to review the area. We find out that lawn care services were done that afternoon. The debris on siding was created after we completed the wash. This is not considered at fault of the company). A $45.00 processing fee will be assessed for any returned checks. If water intrusion occurs, the company will not be held responsible. We make every effort to prevent this but due to unavoidable issues such as bad seals around windows and doors and cracks in concrete foundations. Notify the company if there are any surfaces on or near the home that cannot have any form of our cleaning solution on them. If we are failed to be notified of this, the company is not responsible for any ill effect on any surfaces. Client agrees to allow Hogwash Cleaning Solutions to utilize any photos, videos, reviews, or descriptions of the property in the context of advertising for the company. The company will use these photos, videos, or descriptions without any compensation to the client. The media will be solely used for advertising and training purposes. The client agrees not to seek punitive action in a civil court or law regarding the use of the above media. We will not include sensitive information such as addresses or names. If the client agrees to allow the company to display a sign for marketing on their property, it will remain in effect for no more than seven days. If any damage not fault of mother nature occurs, the client will be charged the retail cost of the sign. Hogwash Cleaning Solutions will be obligated under our terms and conditions for any damage that was a direct result of operator error, negligence, or willful misconduct. Damages must be discovered and reports to Hogwash within 3 days of completion of service. The company will be allowed 30 calendar days from the date of written receipt to inspect the premises and have the sole option in repairing or contracting repair to any damages that was result of negligence. Payment is due upon completion of work unless other arrangements were made between the client and company. If a different arrangement occurs, this will be documented and signed by both parties. We accept all forms of payment to include cash, check or credit. If paying with credit, we accept payment through our credit card processor link or the office for privacy and security of our client’s information. Any invoice or scheduled payment over 10 days past due will be subject to a late fee of 16%. If payment is not received within, 30 days of past due, Hogwash Cleaning Solutions reserves the right to file a civil claim to collect outstanding debt. Any legal fees incurred will be added to the unpaid balance of the client. Hogwash Cleaning Solutions also reserves the right to refuse to continue business with client who is currently past due or who has been 30+days past due more than once. This contract is binding. If client and company have a net 30 days’ payment schedule, client must have payment submitted to company by 30-day grace period. Any invoice or scheduled payment that is past due 30 days after date of agreement, is subject to a 16% late fee. If payment is not received within, 60 days of past due, Hogwash Cleaning Solutions reserves the right to file a civil claim and collect outstanding debt. Any legal fees incurred will be added to unpaid balance of the client. Hogwash Cleaning Solutions also reserves the right to refuse to continue business with a client who is currently past due, or who has been 60+ days past due more than once. This contract is binding. By accepting an estimate, the client agrees to all the terms and conditions in this agreement. You authorize Hogwash Cleaning Solutions to do the work as specified on the estimate. You release our company from property damage unless negligence or willful misconducts cause it. 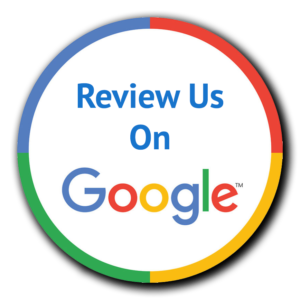 Hogwash Cleaning Solutions is not responsible for damage to lose siding, paint, wood, trim or windows that was previously noted as damage or found during the pre-inspection walk through.